It has taken a while for be quiet! 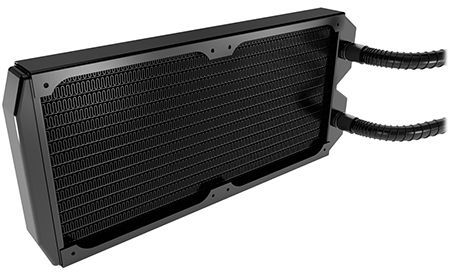 to hop aboard the liquid-cooling bandwagon, but good things come to those who wait, and if you're a fan of the company's low-noise solutions, you'll appreciate the fact that the Silent Loop 240mm almost lives up to its name. Priced at around £115 and introduced in the middle of the new Silent Loop range, this 240mm solution is sandwiched between a 120mm option (£95) and a range-topping 280mm unit (£130). On the face of things, be quiet! 's all-in-one solution doesn't look too dissimilar to the dozens of others that have flooded the market in recent years. 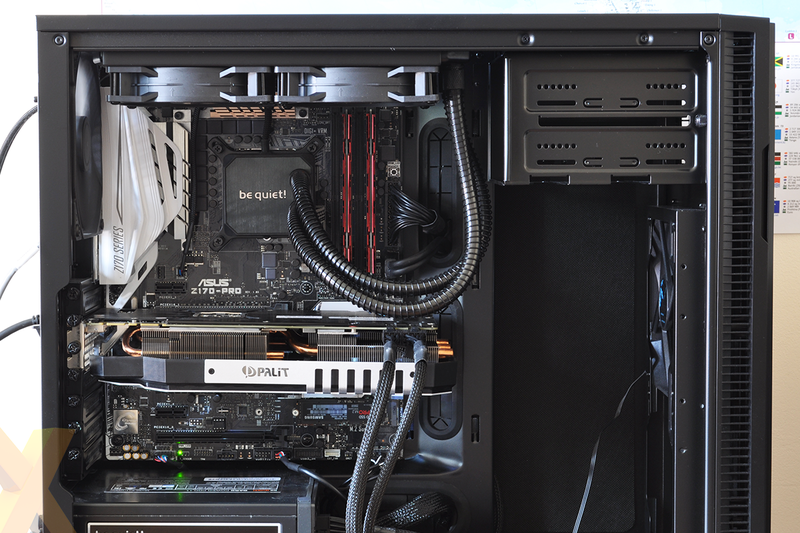 Plenty have shown stellar cooling potential, yet if an ultra-quiet PC is your target, existing options have tended to fall short due to pumps that are noisier than we'd like or fans that simply aren't quiet enough. Considering the company name, it's no surprise that be quiet! is aiming to go one better, but can an all-in-one closed loop really deliver silence? The Silent Loop branding should, of course, be taken with a pinch of salt, as two fans and a 2,200rpm pump are going to create some noise - yet the question is how much? That's what we're here to find out and we can start by confirming that be quiet! 's manufacturing partner is Alphacool, a German outfit who isn't short on experience having previously built liquid coolers for the likes of Cooler Master and Fractal Design. The 240mm Silent Loop shares plenty of resemblance, with a 277mm x 124mm x 55mm radiator attached to a low-profile pump via flexible, bend-protected tubes measuring 39cm in length. What sets the package apart is the inner workings of the pump. In an effort to cut noise down, all Silent Loop coolers use what's called a "reverse flow" technique, whereby "the pump draws in the liquid coolant from an outer cavity of the pump housing across the base plate and discharges the warmed liquid coolant through a second level inside." According to be quiet!, this particular flow arrangement results in smoother operation and less vibration, presumably with minimal impact on performance. And the good news is that it appears to work. 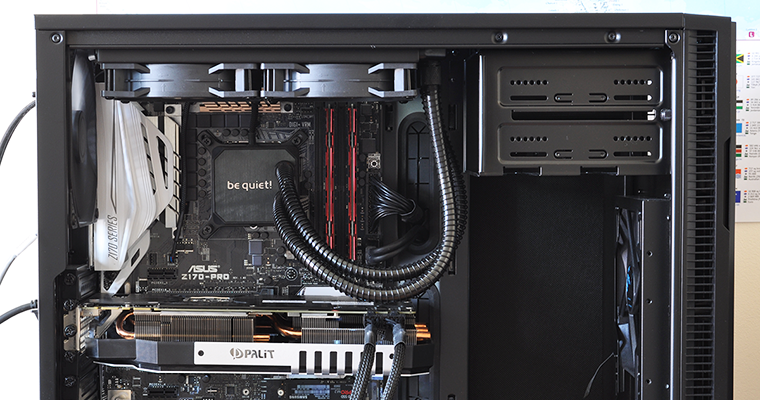 We've tested our fair share of all-in-one 240mm liquid coolers over the years, and we can say with no hesitation that the Silent Loop is without a doubt the quietest we've experienced. Build quality, as you'd expect from be quiet!, is good throughout, as is the finish on the nickel-plated cold-plate. A refill port is available for long-term maintenance - the manufacturer suggests changing the liquid every two years - and a three-year warranty helps provide a little extra peace of mind. 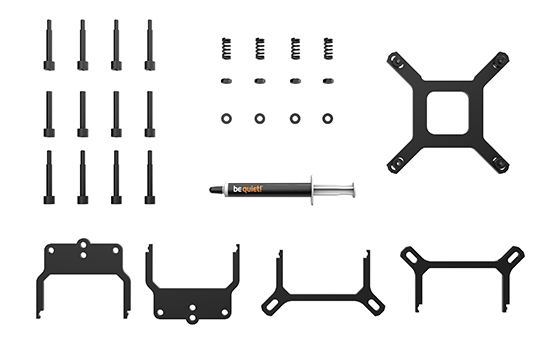 Everything needed to get up and running is included in the box, and on our Intel Z170 platform it's as simple as holding a backplate to the rear of the motherboard and clamping the pump using the supplied fixings. 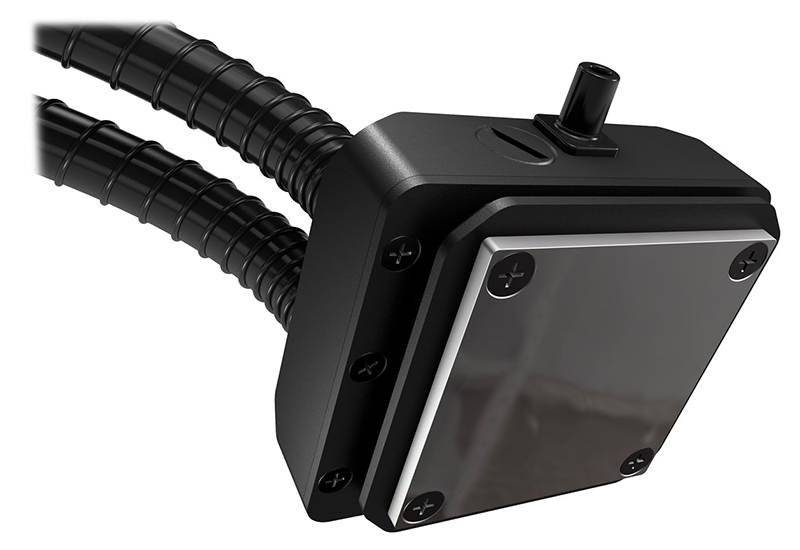 We do prefer backplates that can be clamped down prior to pump attachment, yet while be quiet! 's setup requires a little patience during alignment, it's hardly difficult. All the latest Intel and AMD sockets are supported, with the relevant parts labelled for easy identification, and we like that be quiet! includes a good-sized tube of thermal paste to allow for any re-mounts further down the road. Last but not least, the bundled fans are better than most as the Silent Loop 240mm ships with a pair of 120mm Pure Wings 2 PWM units. Capable blowers, though if you follow your fans, you might be ruing the fact that be quiet! didn't go with its range-topping Silent Wings 3, complete with fluid-dynamic bearings and six-pole motor. Get the cooler up and running and it's a good-looking thing, freeing up space around the CPU socket and reducing the load on the motherboard when compared to a towering air cooler. The Silent Loop 240mm isn't as snazzy as some of its competitors - you won't find any LEDs, expansion opportunities or software additions - yet in our estimation the simplicity is part of the appeal. 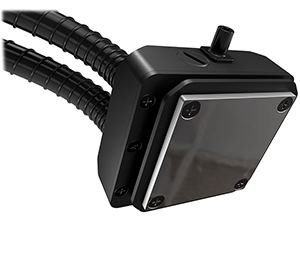 A single three-pin cable powers the pump and a four-pin splitter allows both fans to attach to a single header. Nice and tidy, now let's see if performance is up to scratch.